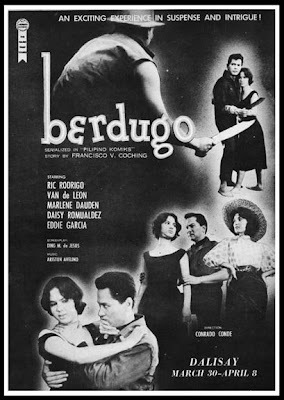 At last, Manuel Urbano, popularly known as Manuel Conde was proclaimed National Artist, a well-deserved and long overdue recognition on the prized icon of Philippine Cinema. 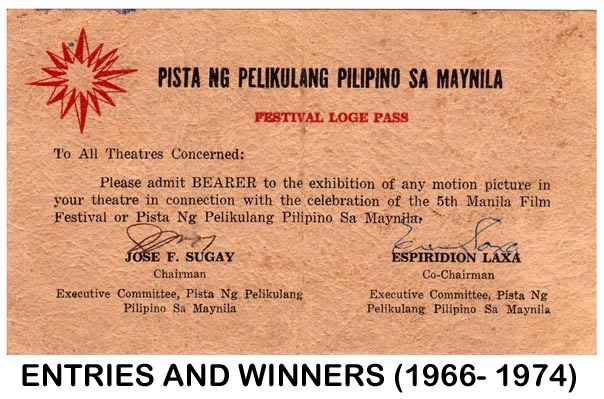 I don't know about the other awardees, particularly Carlo Caparas for Visual Arts (???) 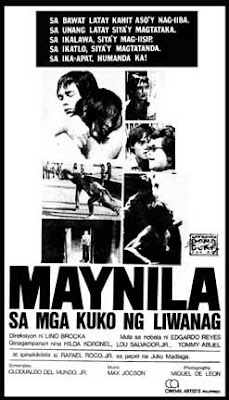 and Film (???). 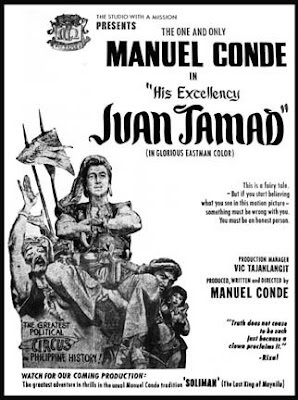 Manuel Conde was known for his Juan Tamad series. 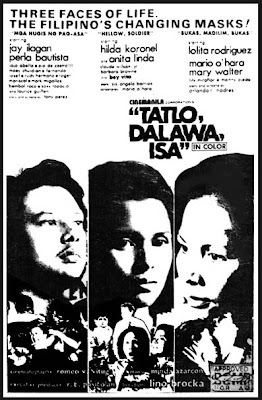 Did you know that sometime in 1961, he was supposed to do "Juan Tamad Goes to Malacañang" or "His Excellency Juan Tamad"? 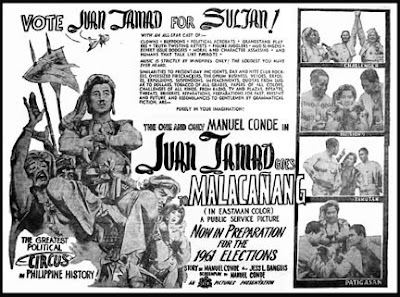 It would have been a wonderful sequel to "Juan Tamad Goes to Congress." 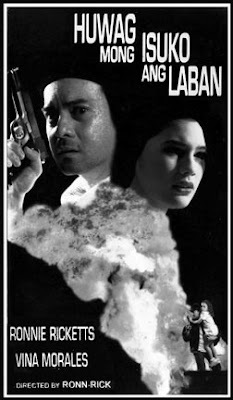 But for unknown reason, the said movie project didn''t push thru. 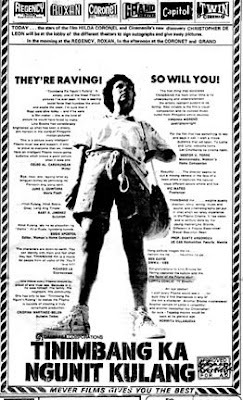 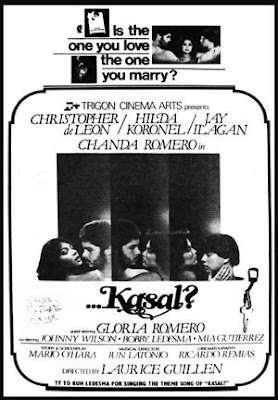 Here's the ads of the aborted project. 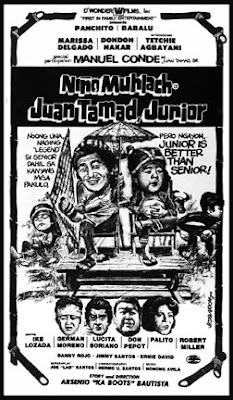 One of Condes's last movies was a Niño Muhlach starrer, "Juan Tamad Junior," released in 1980. 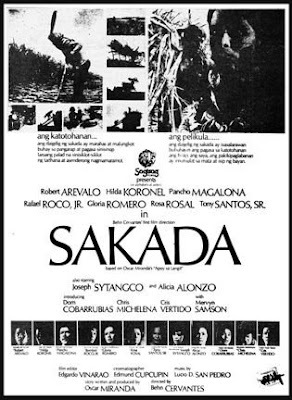 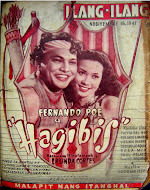 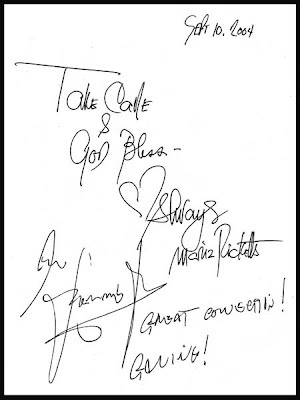 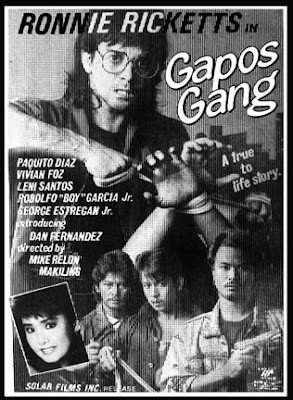 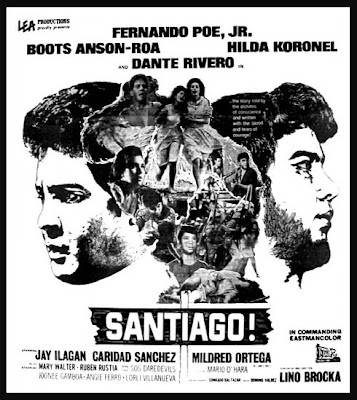 Big stars in Philippine cinema appeared in two great movies produced and released by Sampaguita Pictures. 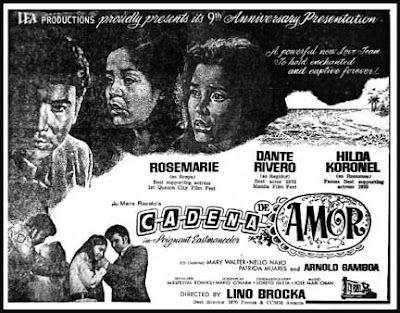 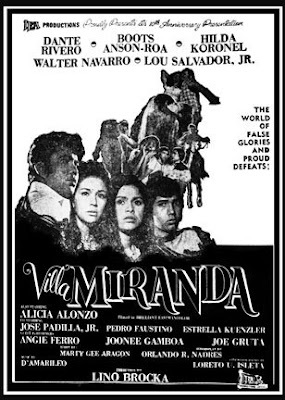 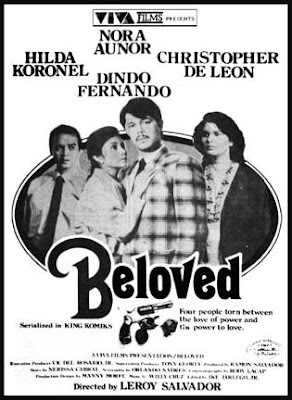 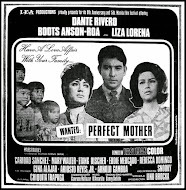 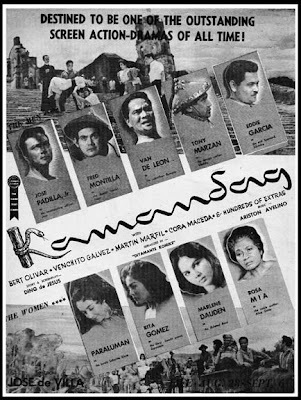 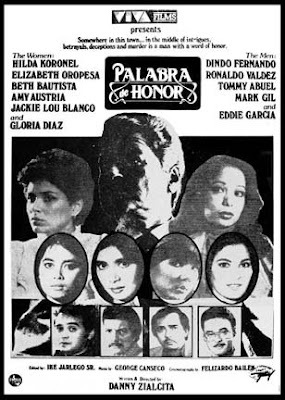 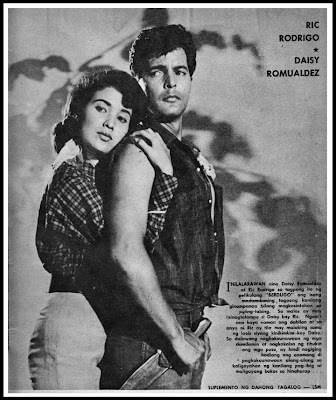 The movies, "Kamandag" (1959) and "Berdugo" (1960) had incredible cast headlined by Fred Montilla, Rita Gomez, Paraluman, Eddie Garcia, Van de Leon, Jose Padilla, Jr., Daisy Romualdez, Tony Marzan, Rosa Mia and Marlene Dauden, all respectable names in the movie industry. 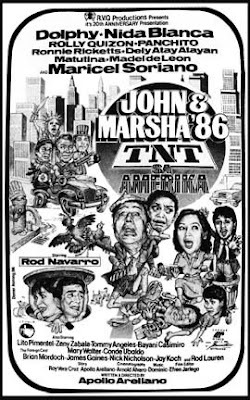 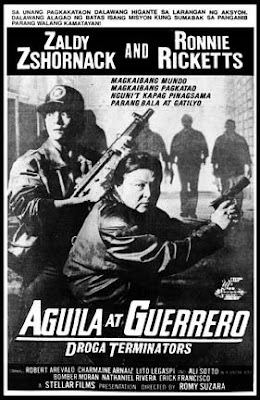 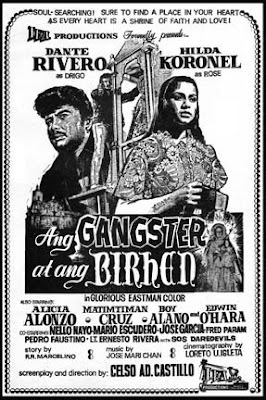 I wonder if both films are still available in the archives of Sampaguita. 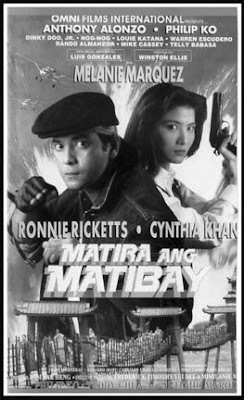 Ronnie Ricketts, a ramp model, entered the movie scene in the early 80s at the time when his girlfriend then was Maricel Soriano, who at that early stage was starting to blossom into a fine versatile actress. 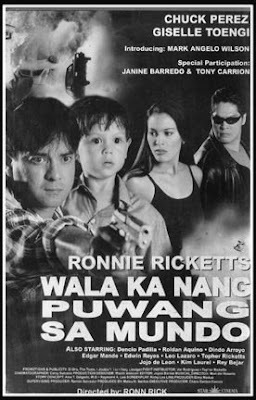 Ronnie was being built as the other love interest of Maricel, even doing a movie, I Love You, I Hate You, together with her and perennial partner Wiliam Martinez. 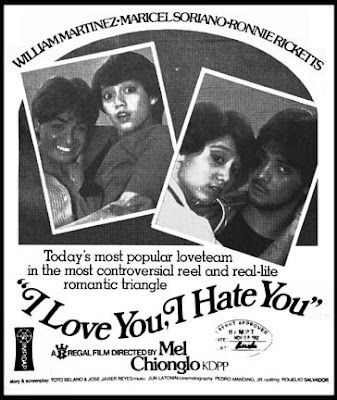 The movie, which was being billed as "Today's most popular love team in the most controversial reel and real-life romantic triangle," was to stir up the purportedly love triangle of Maricel-William-Ronnie. 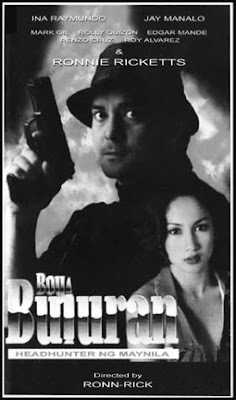 However, such gimmick didn't click among fans and the moviegoing public. 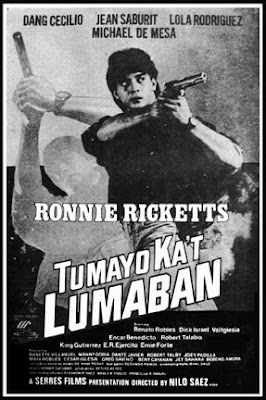 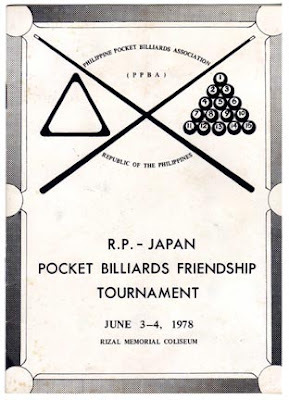 For a time, Ronnie’s career was in limbo. 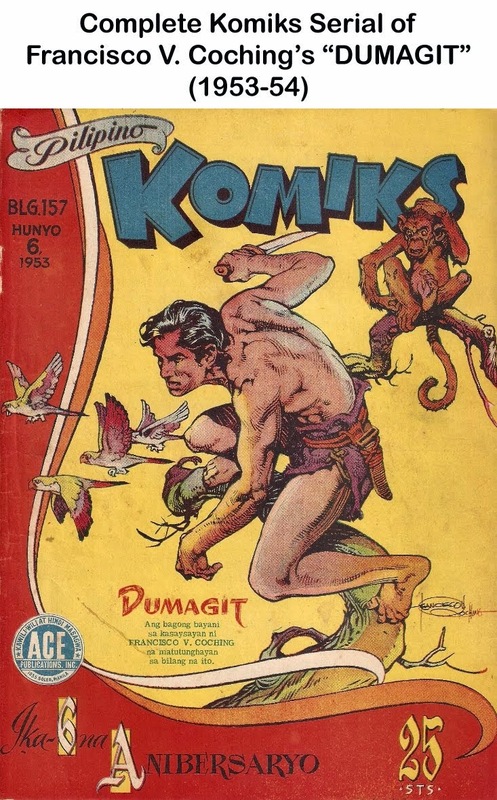 With his muscular built and physique, he went into a massive martial arts training and body-building. 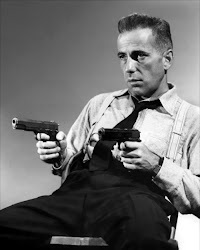 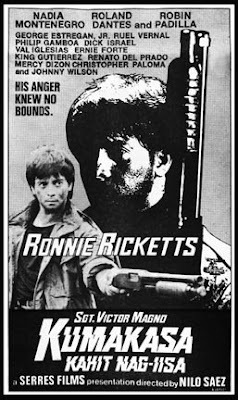 He reinvented himself and resurfaced in the latter part of the 80s as a young action star. 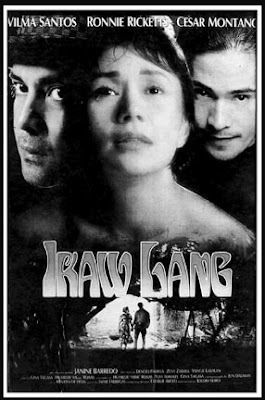 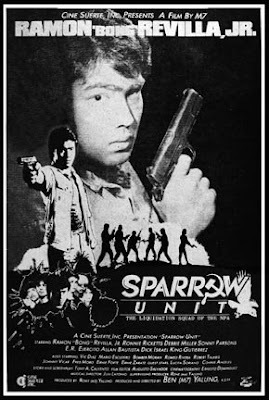 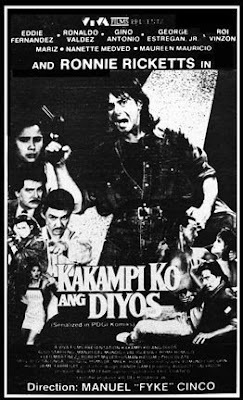 Ramon ‘Bong’ Revilla, Jr. offered him a good role in Imus Productions’ Sparrow Unit, which propelled his career and eventually earned him the first FAMAS Best Supporting Actor nomination in 1987. 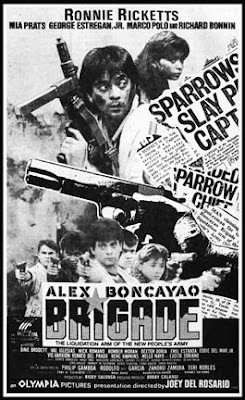 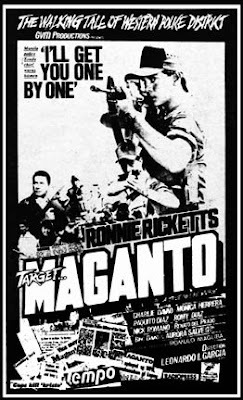 He then appeared in a string of action movies--- Target Maganto, Alex Boncayao Brigade, Gapos Gang, among others. 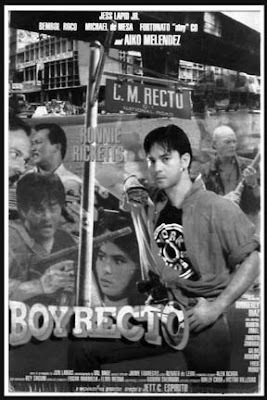 Slowly but surely, he made a name for himself. 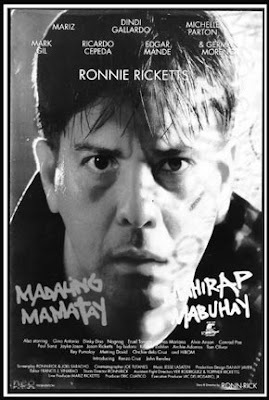 He was also nominated twice in the FAMAS Best Actor award in 1990 for Tatak ng isang Api and 1991 for Isa-isahin ko Kayo. 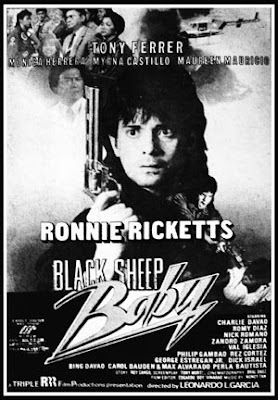 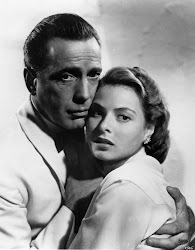 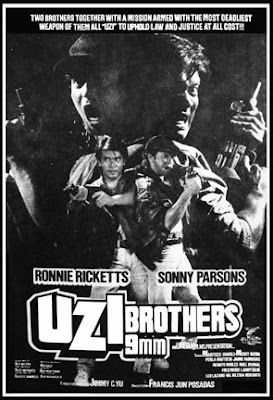 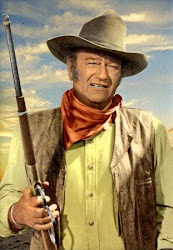 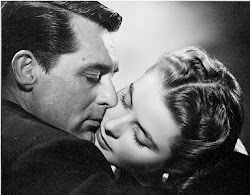 He also produce and direct (as Ronn-Rick) as well as star in his own movies. 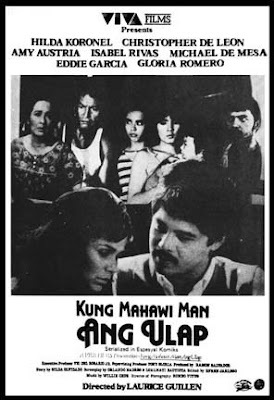 I remember him best in Chito S. Rono's Ikaw Lang (1993) with Vilma Santos and Ilaban Mo, Bayan Ko! 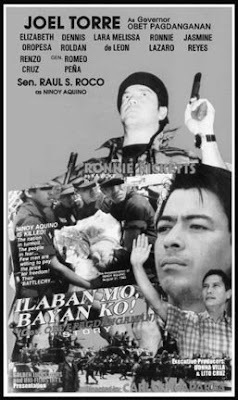 : The Obet Pagdanganan Story (1997) with the late senator Raul S. Roco in a very special role as Ninoy Aquino. 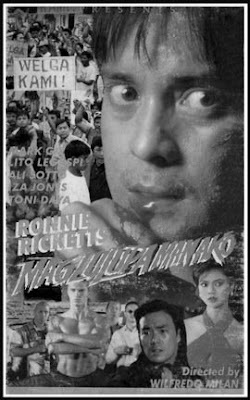 Ronnie is happily married to Mariz. 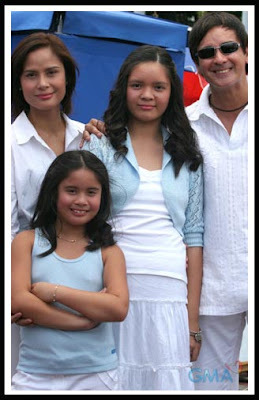 Both have two lovely daughters. 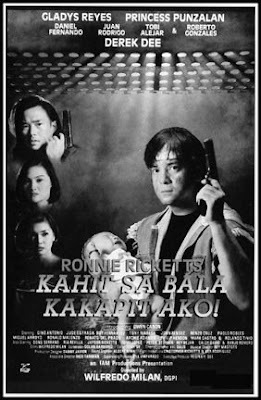 Did you know that in 1999, actor-comedian Willie Revillame appeared in a movie in a solo lead role? 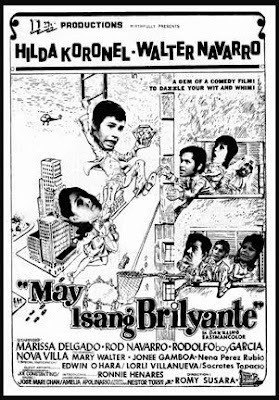 The movie was Alyas Boy Tigas: Ang Probinsyanong Wais. 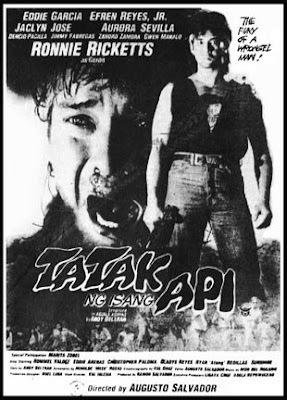 "Talagang astig at wais"--- Where is he now, after 10 years? 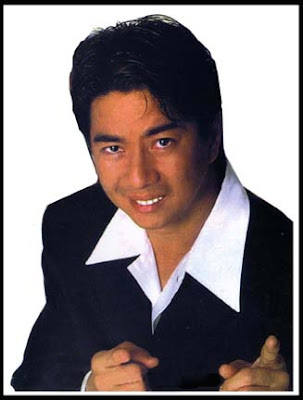 Today, Revillame was the highest-paid showbiz personality reportedly (according to YES! 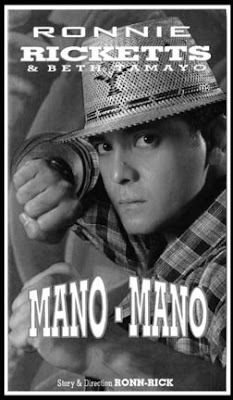 magazine) earning one million pesos (Philippine peso) a day from his lucrative contract with ABS-CBN and endorsement deals. 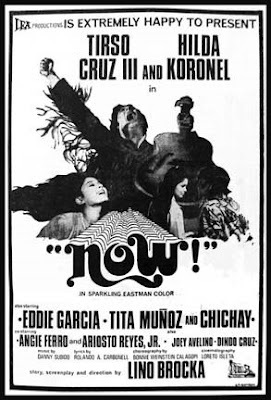 He hosts a top-rating noontime TV show, "Wowowee." 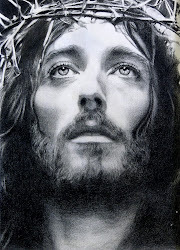 Also, in 2008, he topped the YES! 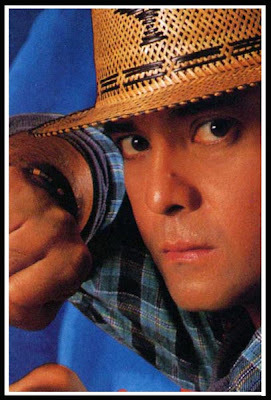 Magazine’s 50 Most Powerful Personalities in Showbiz. 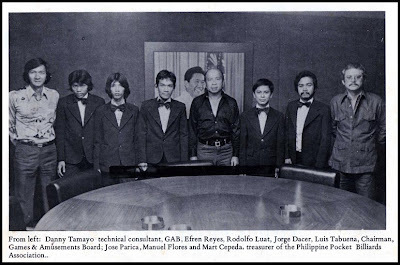 Just recently, he launched his newest venture, a studio-mall complex called Wil Theater Mall--- a 10-storey building reportedly worth php 400 to 500 million. 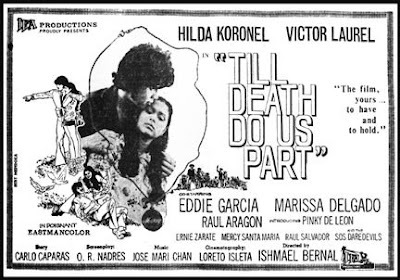 One of the beautiful faces to grace Philippine cinema is Hilda Koronel. 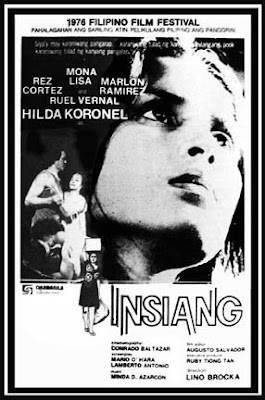 I remember her and she was great in Lino Brocka’s “Insiang” and Mike de leon’s “Kung Magarap Ka’t Magising.” She has the rare combination of beauty, brain and talent that set her apart from other stars of her time. 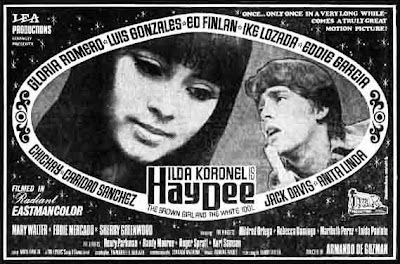 Hilda (b. January 17, 1957), Susan Reid Moore in real life, was only 12 when she was introduced in 1969 in the movie “Leslie.” In 1970, she was launched to full stardom in “Haydee.” As a contract star of LEA Productions, she appeared in countless memorable movies. 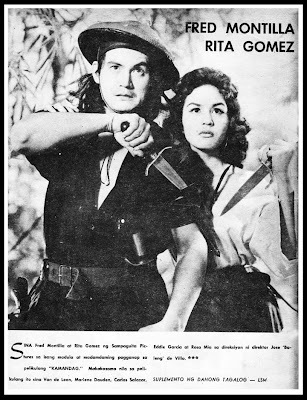 Despite her young age, she was cast in lead, young-adult roles in romantic dramas, among them, “Santiago” with FPJ, “Cadena de Amor,” “Now,” “Stardoom” and “Tubog sa Ginto.” She received her first FAMAS award for Best Supporting Actress in “Santiago,” the youngest to receive at 13. 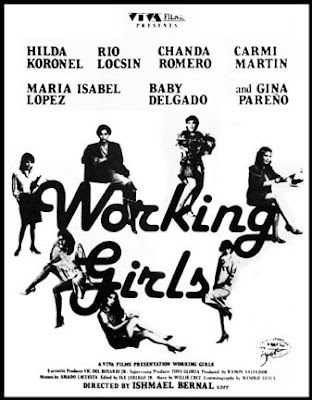 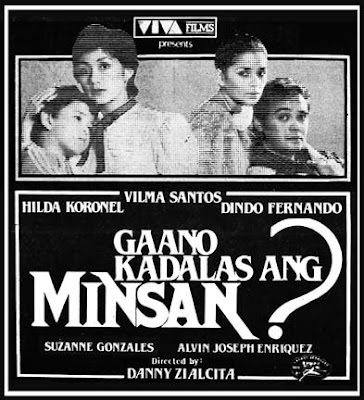 As soon as her contract with LEA expired, Hilda’s career went to a more brighter paths and greater heights and with Brocka as her mentor and in her side, they would teamed up with some important movie projects that would eventually become classic masterpieces, movies like "Tinimbang Ka Nguni't Kulang," "Maynila, sa mga Kuko ng Liwanag," "Insiang," "Angela Markado," "PX." 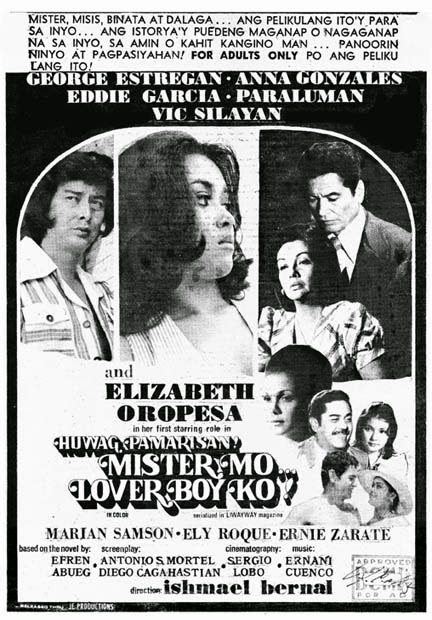 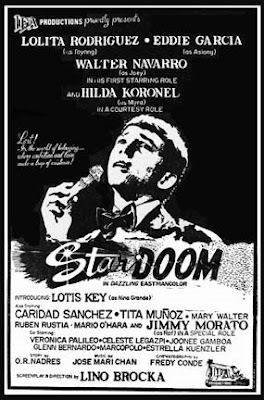 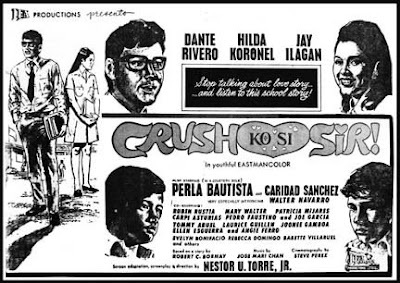 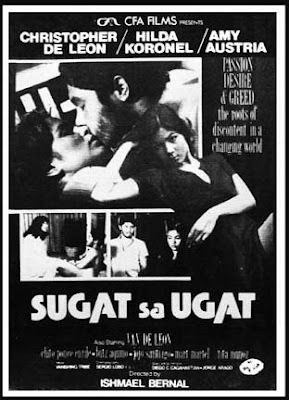 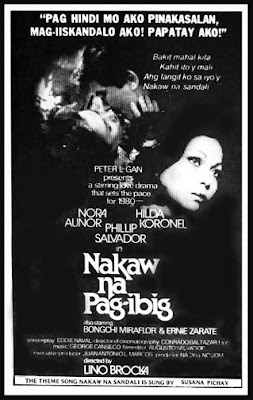 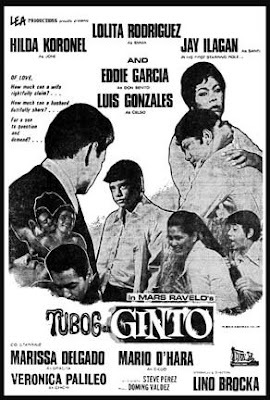 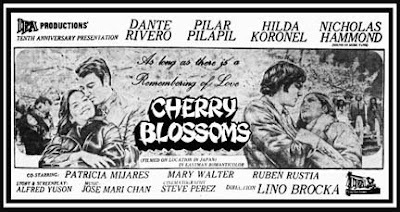 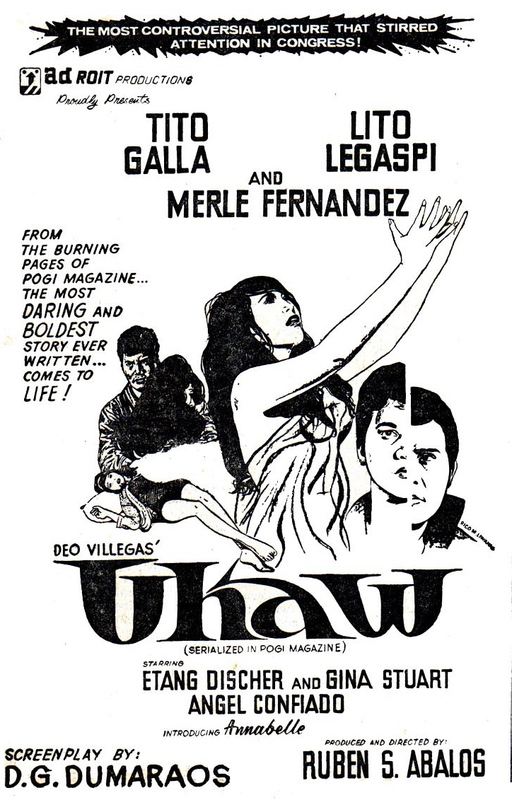 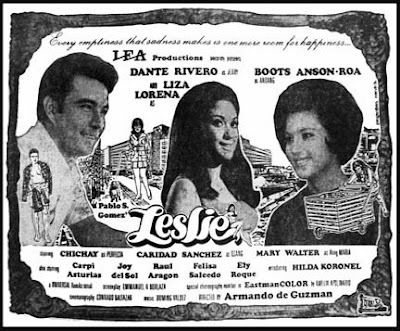 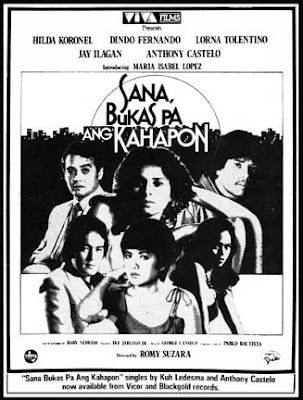 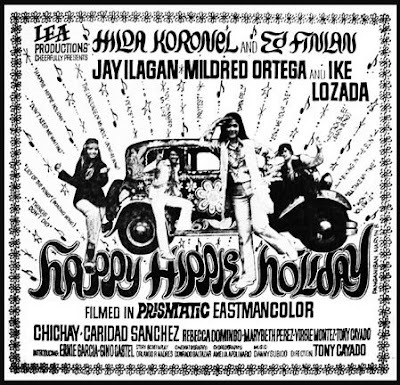 Crush Ko si Sir (1971)- Stars Dante Rivero, Hilda Koronel and Jay Ilagan/ with Perla Bautista, Caridad Sanchez/ Introducing Walter Navarro/ Directed by Nestor U. Torre, Jr.